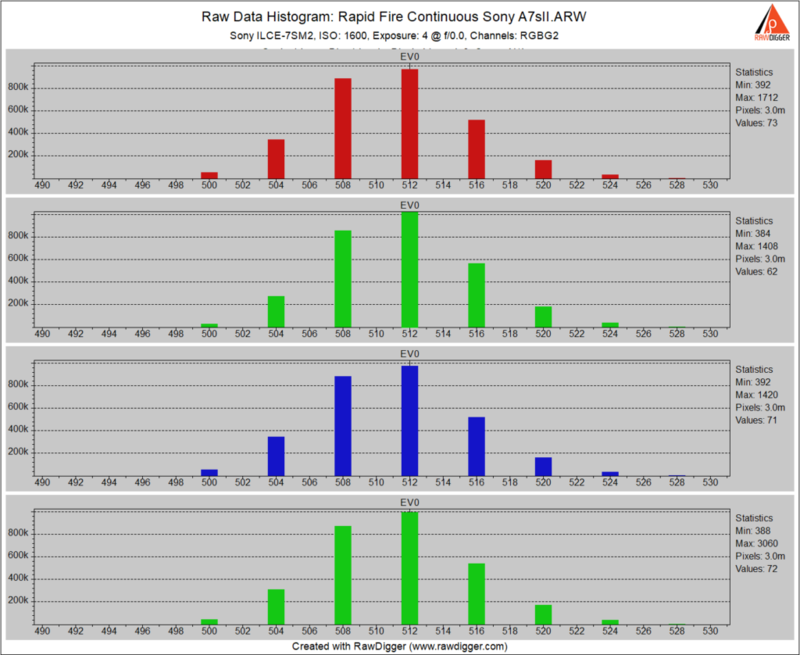 A few weeks ago, I published a way to circumvent the star-eater spatial filtering that the Sony a7RII with current firmware silently switches to for exposures of longer than 3.2 seconds. Several people asked me if that trick worked with the a7SII. I didn’t know, and couldn’t find out since I had no access to that camera. Today, Ian Norman, of lonelyspeck.com, provided me with three dark frames from the a7SII. 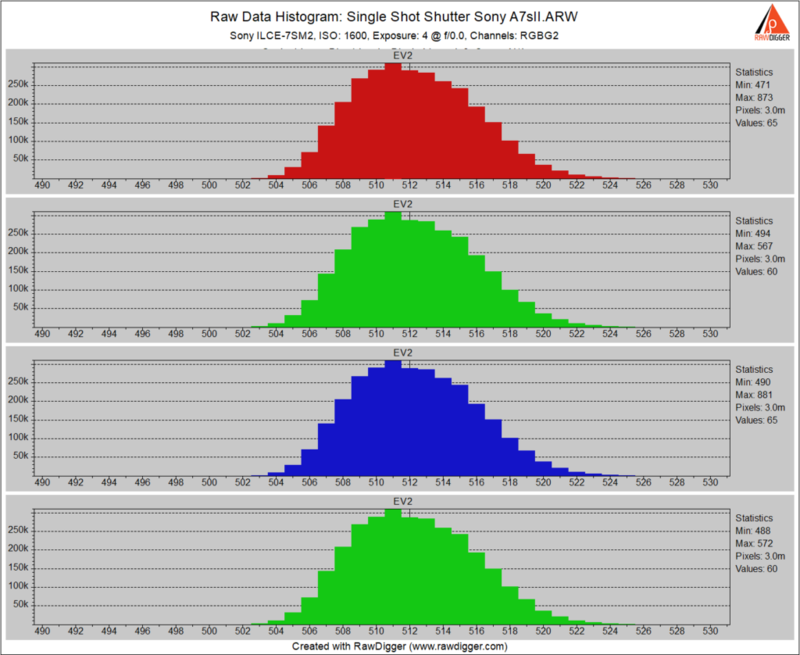 All were 4-second uncompressed exposures at ISO 1600, but with different drive modes. We’ve seen this before, and it is the star-eater signature. 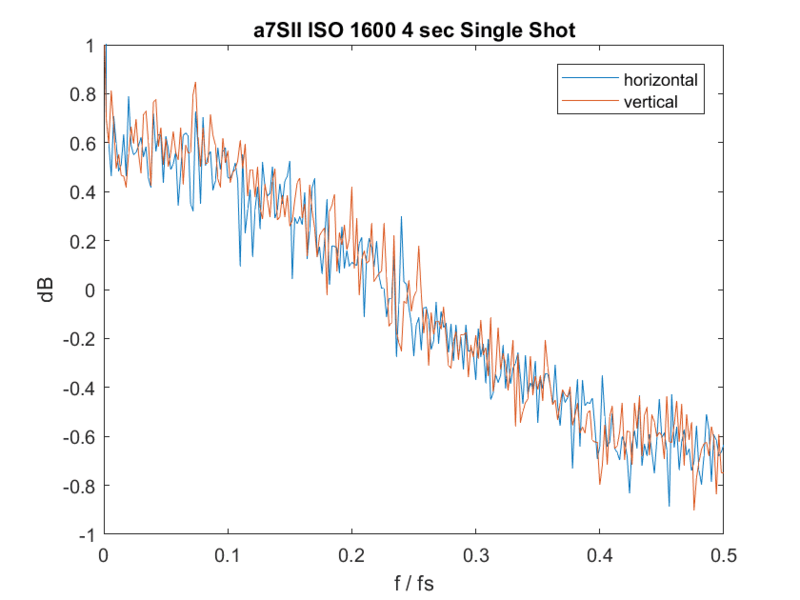 In single shot mode, the a7SII operates with 14-bit precision when writing uncompressed files. No star-eating. 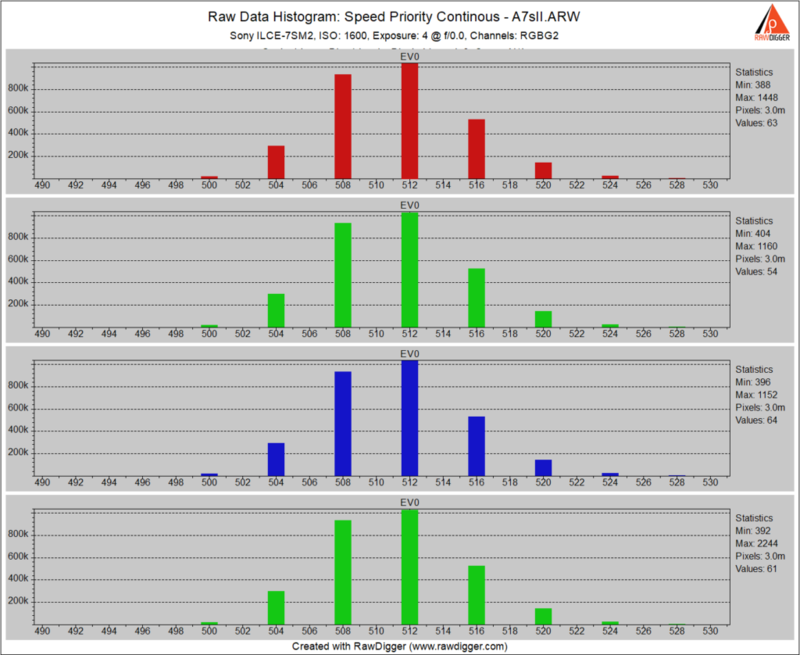 Some horizontal falloff with increasing frequency, though. 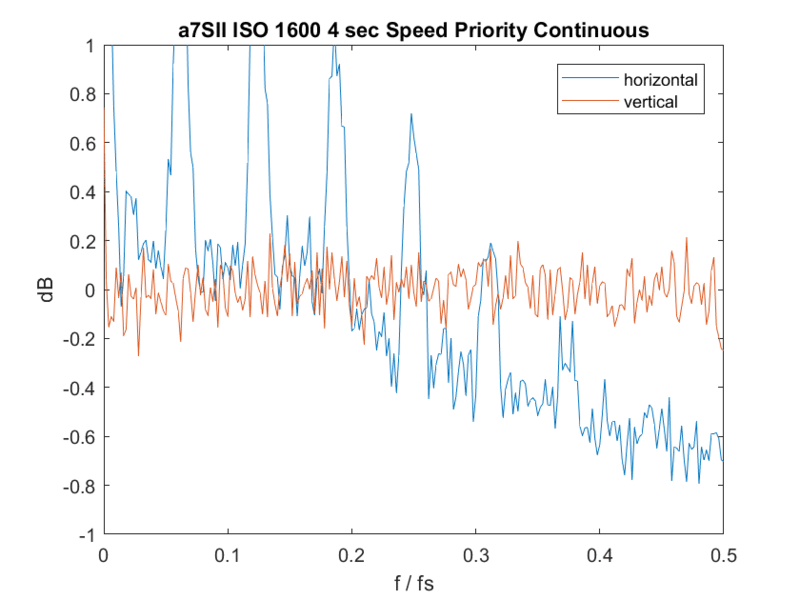 That looks like there’s no star-eating taking place, and the horizontal trace looks better than the speed-priority one. To net it out, it looks like the workaround will work for the a7SII as well as the a7RII. The nature of these peaks is extremely interesting. You want to expand on that? Do you have information regarding the star-eater behavior of the A7-II? I would like to purchase one, but only if the workaround applies to it. Thanks a lot for the insightful analysis of the problem and your technical commentary on focus adjustments. Do you have information regarding the star-eater behavior of the A7-II? I do not, nor do I have access to the camera anymore. Sorry. Shoots one still image. Normal shooting mode. Shoots images continuously while you press and hold down the shutter button. Shoots images continuously at high speed while you press and hold down the shutter button. The product continues to shoot as long as the shutter button is pressed. 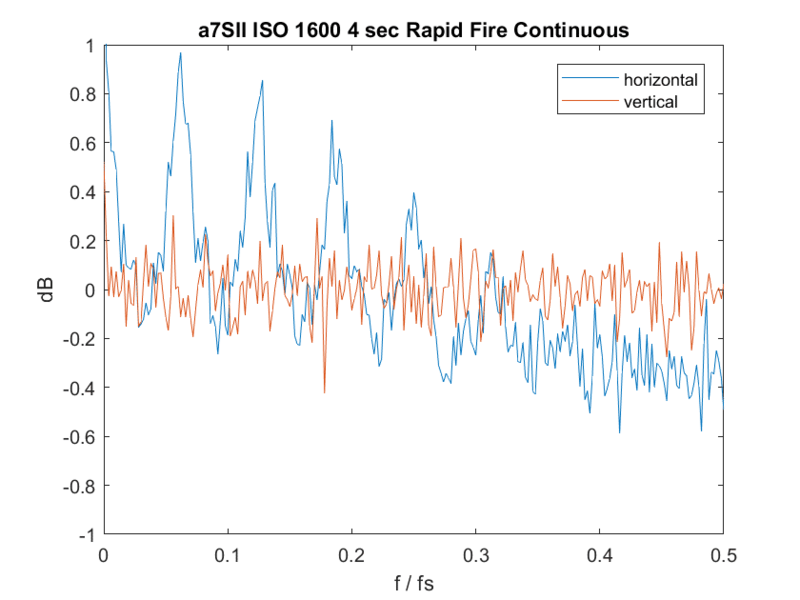 You can continuously shoot at a rate faster than that of [Cont. Shooting].